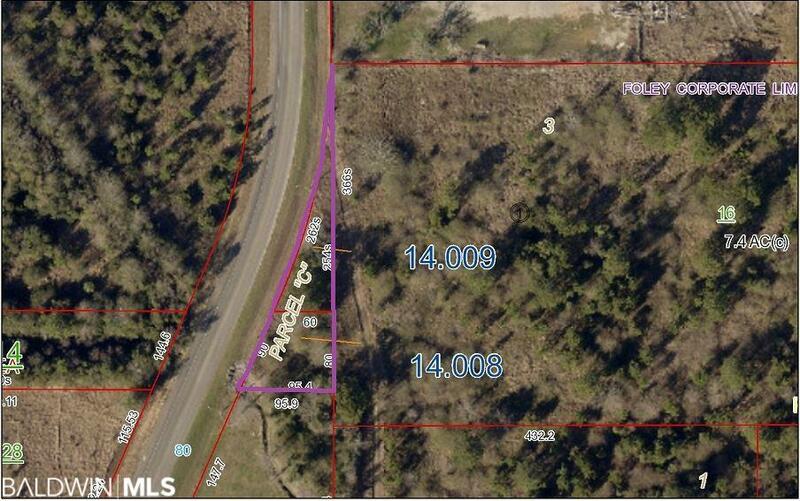 Development opportunity in Foley zoned general business, just over a quarter of an acre. 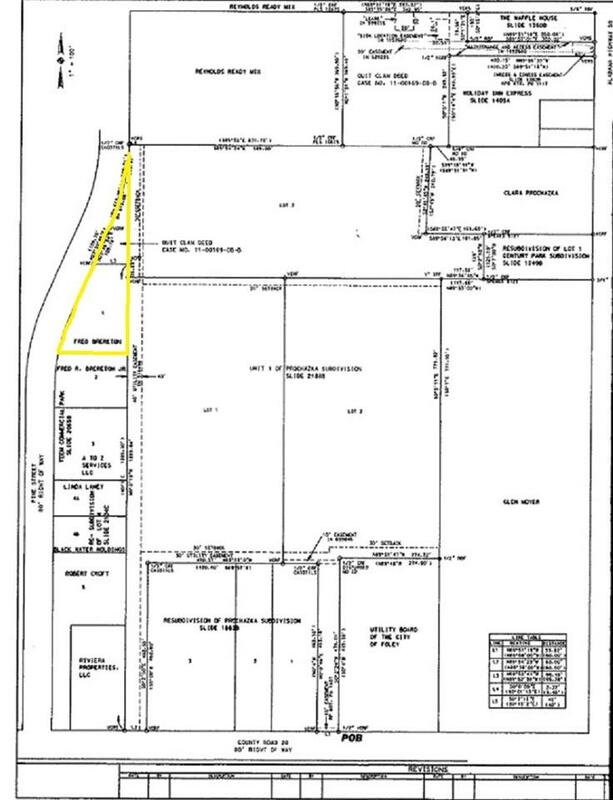 Property fronts Pine Street just off Hwy 59 across from Tanger Outlet Shopping Center. Listing includes PPIN#'s 238387 & 238388. 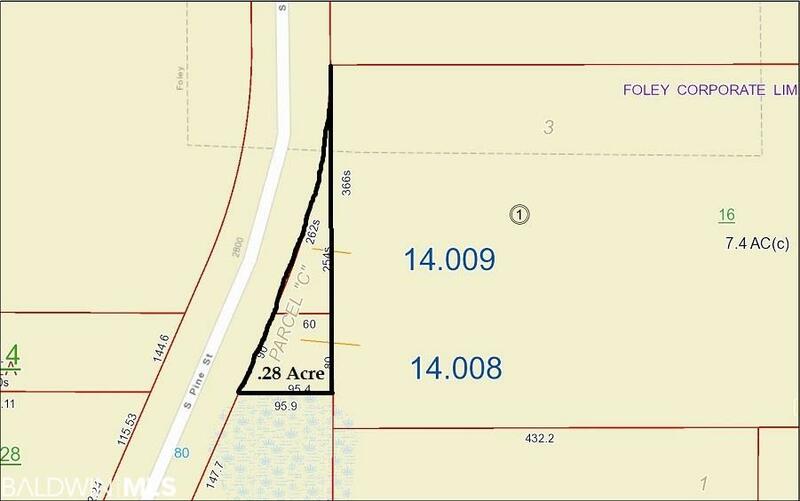 See layout of property and survey in photos.